Magic Mirror is essentially a webpage that runs on a web server housed inside your Raspberry Pi. It displays tons of cool information and can even be used to create your very own smart mirror! Note: I recommend using either the Raspberry Pi 3 to complete this project, but the Raspberry 2/Zero/Zero W will also work. First, you'll need to install the latest version of Raspbian, the official Raspberry Pi operating system (based on Debian Linux). Howchooer tyler wrote a great guide on installing Raspbian Stretch that will walk you through the process step by step. Unmount the SD card from your computer and insert it into your Pi. Connect your keyboard, mouse, HDMI cable and, lastly, the Pi's power cable. You will now see the Raspbian Pixel desktop (GUI). Our Magic Mirror needs to be wifi-enabled so that it can connect to the internet and so that we can access it remotely to set things up. In the top right of your screen, click on the network icon (two computers with an X). Select your network, enter your wifi password, and click OK. The Raspberry Pi 3 and Raspberry Pi Zero W have built-in wifi, older Pis (and the normal Pi Zero) do not. If you're using a Pi without built-in wifi, you'll need to connect a wifi dongle to your Raspberry Pi. We'll need our Pi's IP so that we can connect to it from our regular computer and complete the rest of the installation from there. Your Pi's IP will be located next to inet addr. Alternatively, you can also ping your Pi from your computer to obtain the IP address; I wrote a short guide on pinging the Pi in OS X. On newer versions of Raspbian, SSH is disabled by default. You can either enable SSH using the SD card or, on your Pi, navigate to Preferences > Raspberry Pi Configuration > Interfaces and enable it there. When prompted for your password, use the default Raspberry Pi password: raspberry. If you see an authenticity of host warning, type yes and press enter. Updating may take some time. There are a number of great Magic Mirror dashboards available -- I went with one created by Michael Teeuw since it's beautiful and he's a bit of a Magic Mirror pioneer. More information for the MagicMirror dashboard can be found on its Github repo. When prompted whether you want to use pm2 for auto starting of your MagicMirror, select "yes" by typing y and pressing enter. The installer could take anywhere from 10-25 minutes to run. If you're using a touchscreen for your magic mirror, use lcd_rotate instead of display_rotate. Time to configure the interface for your location and needs! Change both the "currentweather" and "weatherforecast" weather module settings to your location. 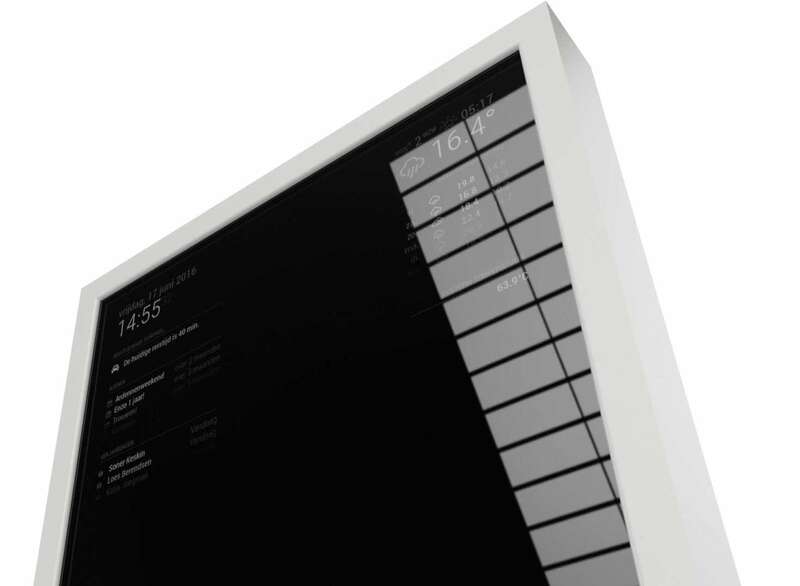 MagicMirror spins through an array of complements based on the time of day. If you'd like, you can change these compliments to something different -- famous quotes, perhaps? 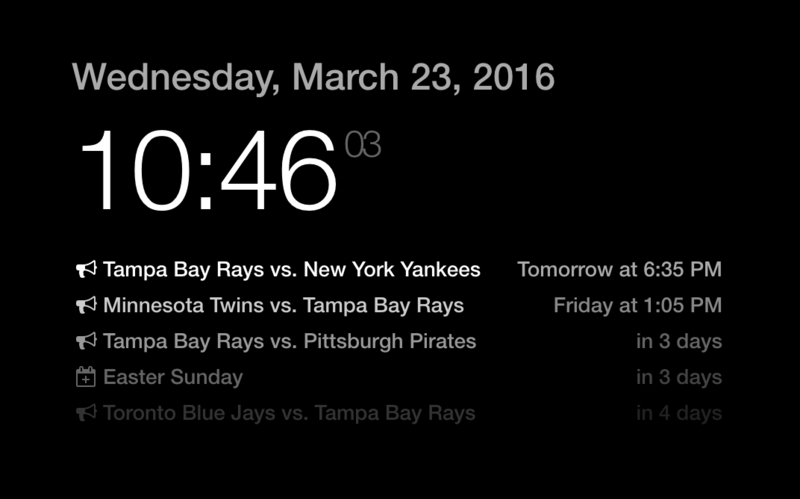 By default, MagicMirror shows a calendar containing US holidays. You can change these by pasting a calendar's public URL here. For now, I decided to remove both and instead subscribe to the Tampa Bay Rays schedule and a Google Calendar containing a list of national holidays. These calendar URLs normally end in .ics, and you can Google the one you're looking for. Down the road, I'll add authentication so I can link up my Google Calendar. You can also change the icon that's loaded by changing the value of calendar.urls.symbol; this value should be from the list of FontAwesome icons found here, with the "fa-" portion removed. For example, 'fa-bullhorn' becomes just 'bullhorn'. When you're finished configuring, save and exit. There are tons of other fun and useful MagicMirror modules you can play around with. Find a really great one? Post in the comments section below and I'll include it here! Now that your MagicMirror setup is working, I highly recommend you create a backup of your SD card image. This is totally optional, but if something gets messed up when installing Jasper it will be easy to revert. I wrote a guide on how to back up your SD card for Mac or, if you have Windows, Lifehacker wrote a great guide as well. Make your magic mirror voice-enabled by installing Google Assistant. Be sure to check out my Google Home-enabled magic mirror guide to learn how to do this. Jasper is an open-source text-to-speech and speech-to-text processing platform, allowing you to speak commands to your Raspberry Pi such as to play a Spotify playlist, add things to your Google Calendar, or integrate with openHAB to control your entire house. Jasper is definitely a cool feature to add to your mirror -- if you're up for the task! I wrote an exhaustive guide on how to install Jasper on your Pi. You can also see my completed Magic Mirror build here, which is a great read if you're also into woodworking. The Raspberry Pi can be a complicated beast. Post below and I'll do my best to help you out! Mirror, mirror on the wall: who's the nerdiest of them all?